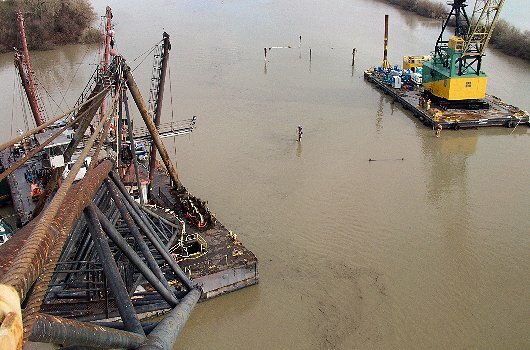 After sinking and re-floating, an old side cast dredge needed to be removed from its lay-up location in Shag Slough, part of the Sacramento river delta. 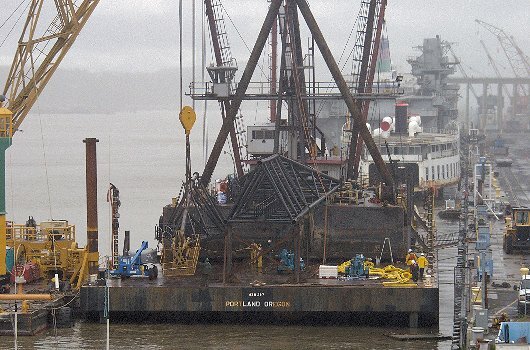 The dredge had a riveted iron hull with a wooden bottom. 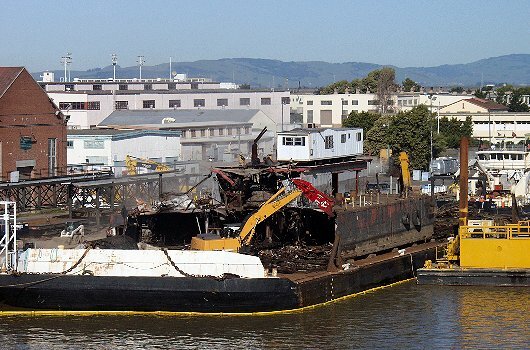 Since a wet tow to the demolition location at Mare Island was considered too risky, NRC Environmental Services proposed a dry tow solution. 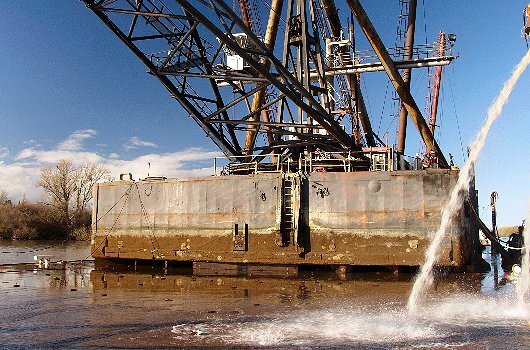 By putting the dredge onto a cargo barge, the probability of sinking and causing pollution was eliminated. A suitable cargo barge was location in Seattle and towed to Alameda for preparations. Stand pipes with submersible pumps were installed on four of its ballast tanks. A cribbing arrangement, guideposts, protection posts and boom support were installed. Meanwhile the dredge was prepared for its final tow. 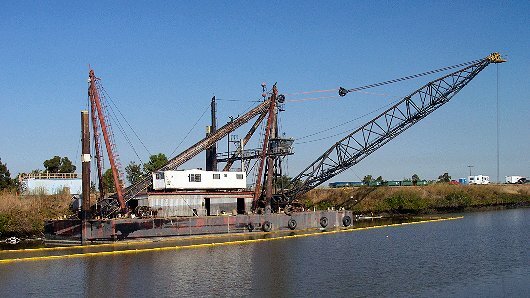 This successful removal of the old dredge MONARCH crane was featured in the June 2004 edition of the Foss Maritime's newsletter "Tow Bitts". Photographs courtesy of Foss Maritime. Provide on-site assistance during the float-on and deballast operation.